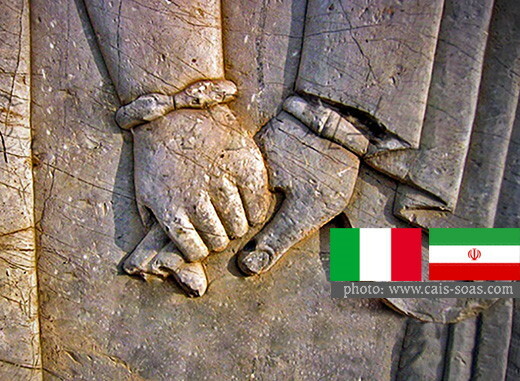 Iran and Italy sign a deal to establish closer archeological cooperation. The Cultural Heritage and Tourism Research Center of the Islamic Republic of Iran has signed an MOU on archeology with the Cultural Heritage Department of University of Bologna in Italy. According to the Iranian Cultural Heritage News Agency (CHN), under the 9-point memorandum which was signed by the head of the Iranian research center Mohammad Beheshti and Italy’s Angelo Pompilio, the two sides willcooperate in the field of training and research, as well as restoration and maintenance of archeological sites. After signing the agreement, the Iranian official said Iran is interested in tapping into the expertise and experience of others in areas where local experts are less experienced. The Italian official for his part vowed to pick the best of Italian experts for projects in Iran and said Italian experts are very much interested in working in Iran thanks to its rich cultural heritage and numerous archeological sites.